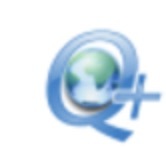 Quanta Plus is a highly stable and feature rich web development environment. The vision with Quanta has always been to start with the best architectural foundations, design for efficient and natural use and enable maximal user extensibility. IDLE, an acronym of "Integrated DeveLopment Environment", is a Python development environment that often comes bundled with Python distributions. It has a Python Shell Window, which gives you access to the Python interactive ****. Its File Editor lets you create new or browse through and edit existing Python source files. There is a Path Browser for searching through the path of available module source files as well as a simple Class Browser for finding the methods of classes. 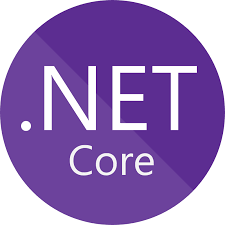 Microsoft Visual Studio Express is a set of integrated development environments (IDEs) developed by Microsoft as a freeware and registerware function-limited version of the non-free Microsoft Visual Studio. Express editions started with Visual Studio 2005. Notepad++ is a free (as in "free speech" and also as in "free beer") source code editor and Notepad replacement that supports several languages. Running in the MS Windows environment, its use is governed by GPL License. Notepad++ is written in C++ and uses pure Win32 API and STL which ensures a higher execution speed and smaller program size. By optimizing as many routines as possible without losing user friendliness, Notepad++ is trying to reduce the world carbon dioxide emissions. Mercurial is a fast, lightweight Source Control Management system which can track revisions to software during development. Mercurial runs on Unix-like systems, Mac OS X, and Windows computers, and it is licensed under the GNU General Public License. Eric is a full featured Python and Ruby editor and IDE, written in python. It is based on the cross platform Qt gui toolkit, integrating the highly flexible Scintilla editor control. It is designed to be usable as everdays' quick and dirty editor as well as being usable as a professional project management tool integrating many advanced features Python offers the professional coder. eric includes a plugin system, which allows easy extension of the IDE functionality with plugins downloadable from the net.